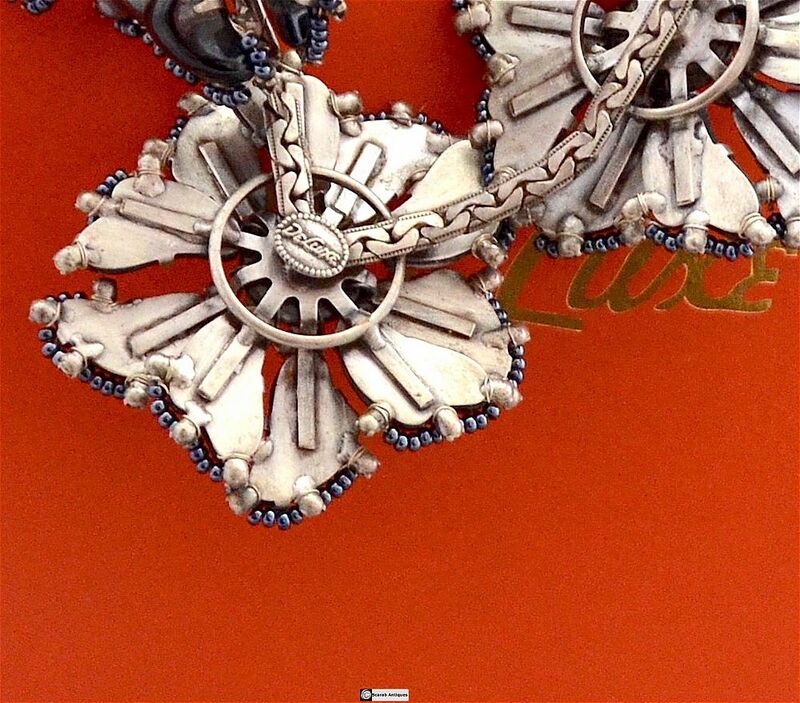 This lovely and very dramatic necklace is by the Dutch company DeLuxe. It comprises nine stylised flowers in black opaque glass. Each flower has abstract shaped black glass cabochon cut petals set in silver tone metal around a black cabochon cut glass centre with black bead and white paste set edges and round white paste set on wire stems around the centre and around some of the sides of the petals. 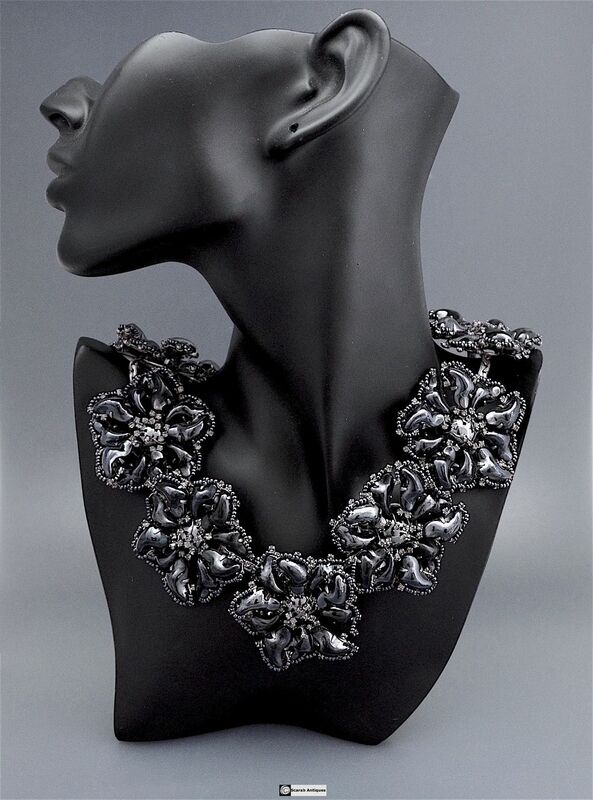 The flowers are articulated and attached to a silver tone flat chain. 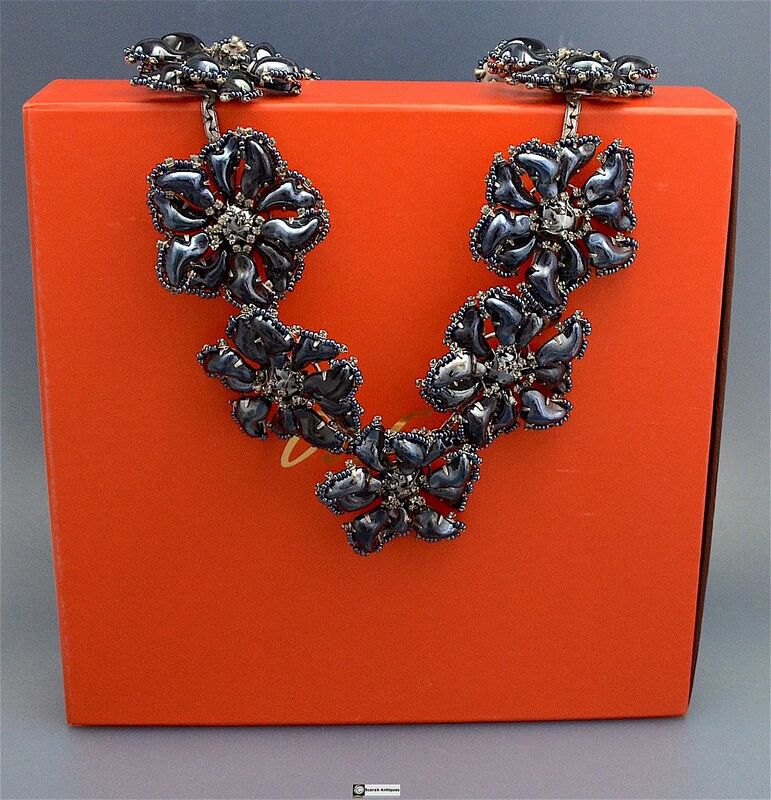 The necklace is adjustable with a hook and chain link fastener with a single black opaque glass petal at the end of the chain link fastener. Script signed "DeLuxe" in an oval cartouche.